Republican Rep. David Lewis said the goal of the bill was to create the ‘gold standard’ in election integrity. Democrats didn’t buy it. It was clear during two hours of debate Wednesday where the two political parties at the legislature diverged over photo ID: their belief in voter fraud. The GOP supermajority expectedly passed legislation that would implement a constitutional requirement that voters must show a photo ID to cast an in-person ballot. Their intention with Senate Bill 824, they reiterated in the floor debate, was to prevent voter fraud. “To be clear, our goal is to obtain the gold standard in election integrity,” said Rep. David Lewis (R-Harnett). He likened voter fraud to speeding and said many people do it knowing they probably won’t be caught with a police force that’s spread too thin. Democrats didn’t buy it. They balked at the idea of voter fraud and asked their colleagues on the other side of the aisle to cite proof that the problem was as rampant as they were making it out to be. Republicans didn’t have definitive proof, claimed multiple Democratic lawmakers, only headlines and anecdotes. 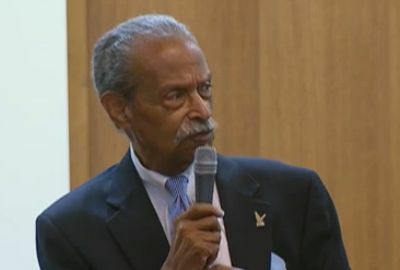 Michaux, who has been a prominent voting rights advocate all his life, said SB 824 was just another impediment to dissuade people from voting like the literacy tests and poll tests imposed on voters in the past that disenfranchised African Americans. He also criticized Republicans for pointing to states that already had a voter ID law as having higher voter turnout among people of color in the last election, and said North Carolina did also without voter ID. 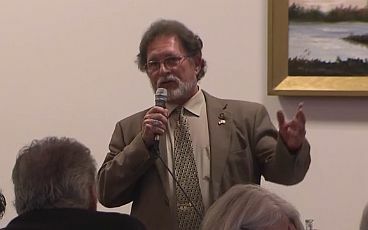 Michaux added that the biggest fraud on the system was with absentee voting, referring to what’s currently being investigated by the State Board of Elections and Ethics Enforcement in Bladen County involving the 9th congressional district. He also vowed to keep working to improve voting rights if SB 824 passed. “If we have to go back to the streets again to get an impediment-free right to vote, then I’ll spend the rest of my life doing it,” he said. Rep. Pricey Harrison (D-Guilford) thanked Lewis for working with the Democrats to make the voter ID bill better, but she said she couldn’t vote for it in the end because it was rushed and she disagreed that there was a voter fraud problem in North Carolina. Harrison said she also heard from many of her constituents who said they wished there was more opportunity for public comment. Several Republicans have made a point to say there was ample public input into SB 824, but there were only three hearings – one of which only included comment from four people who only had one minute each to speak. One piece of public input that was taken into account and accepted by lawmakers was the recommendation to include all student IDs from public and private universities and community colleges. The final bill ultimately included a provision that approves the use of student ID’s so long as schools issuing them make use of procedures prescribed by the Board of Elections and Ethics Enforcement. 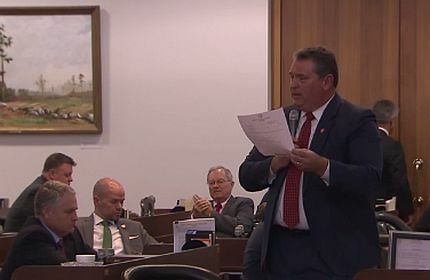 Rep. Larry Pittman (R-Cabarrus) stirred quite a debate when he introduced an amendment to strip any ability for student IDs to be used for voting. He said he didn’t see any justification for it and Rep. Michael Speciale (R-Beaufort, Craven, Pamlico) piggybacked and said allowing student IDs for voting would defeat the whole purpose of a photo ID law. “There’s no reliability on those student IDs, none whatsoever,” Speciale said. He added that he had a fake student ID he ordered off of the Internet from Wake Technical Community College and encouraged other lawmakers to take a look at it. The amendment ultimately failed, but it did have some traction among Republicans who thought the bill wasn’t secure or strict enough. Rep. Jonathan Jordan (R-Ashe, Watauga) voted against the entire bill because he said it didn’t adequately assess election security and approved a “breathtakingly wide array” of entities that could issue acceptable photo IDs. He was the only Republican who voted against SB 824. Two Democrats voted for the bill: Rep. Duane Hall (D-Wake) and Rep. Ken Goodman (Hoke, Montgomery, Richmond, Robeson, Scotland). 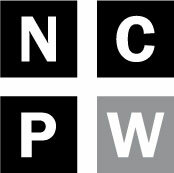 A fiscal note attached to the bill Tuesday shows that it would cost $17 million over five years to implement. The bill goes back to the Senate for a concurrence vote. If it’s approved, it is subject to the Governor’s veto.